Photo courtesy of FedEx Ground. 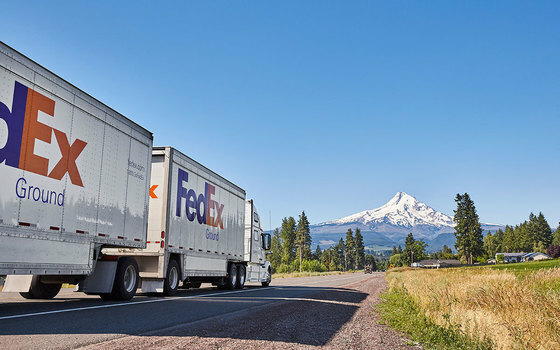 With the potential for new investment and additional jobs, FedEx Ground is purchasing more property at Troutdale Reynolds Industrial Park for future growth. To allow for expansion, the Port of Portland Commission today approved the sale of 38 acres of property to FedEx Ground at TRIP. FedEx Ground, the anchor tenant at the brownfield redevelopment site, exercised an option to purchase the parcel east of their 633,000 square foot fully automated hub. FedEx Ground originally purchased the 78-acre TRIP parcel from the Port in 2008 and constructed Phase I of its distribution facility. In 2016, the company purchased an additional 14.5 acres to accommodate expansion. The facility can process 30,000 packages per hour. According to recent company announcements, package volumes for FedEx Ground have doubled in the last decade, and they have opened 16 new hubs and expanded or relocated more than 500 local facilities since 2005 to account for the growth. The Port originally purchased TRIP in 2007 from Alcoa Inc., and has since worked closely with local, regional and state governments to transform the brownfield site into a mix of industrial land and natural areas. To date, the Port and its partners, like FedEx Ground, have invested over $415 million into the acquisition and redevelopment of the site to support local jobs. Prior to the Port’s involvement, the Reynolds Metal Company in Troutdale operated a World War II era aluminum plant at this property until 2000, when it was acquired by Alcoa.